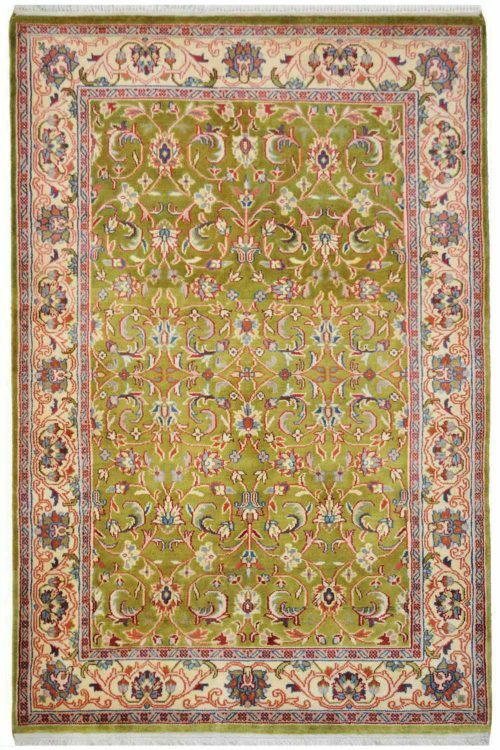 This is a Kashan 9 x 12 Feet Handknotted Wool rug carpet with beautiful ivory border on the sides with intricate craftsmanship. 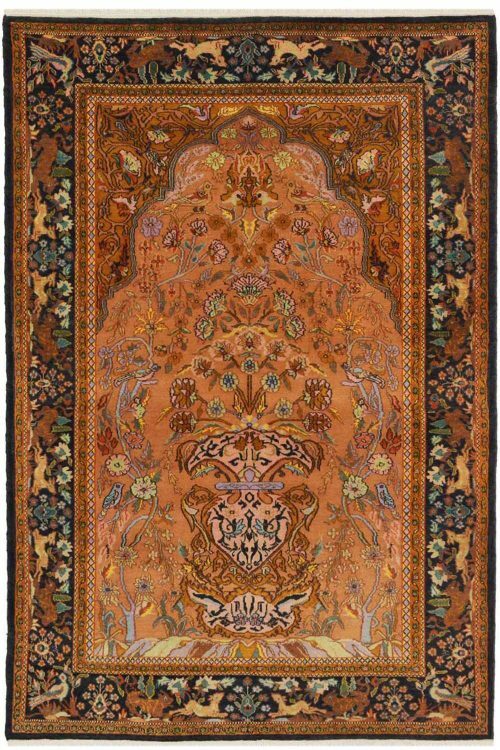 This is a very peaceful woolen carpet and is totally handmade carpet with all over floral kashan design . 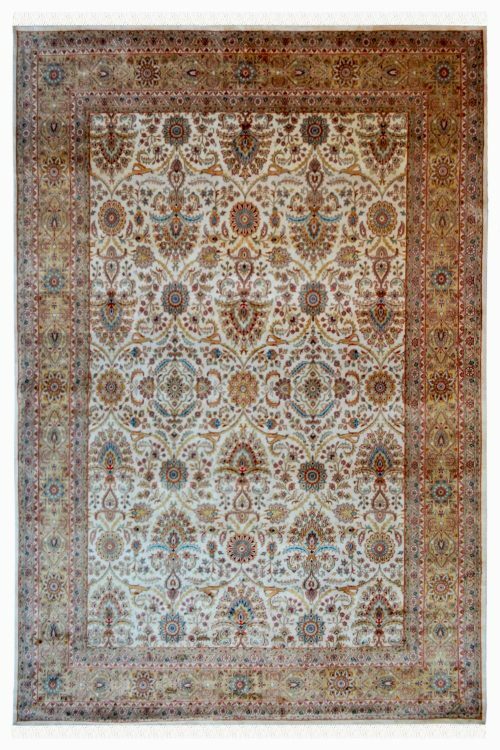 It is made with very fine quality material (wool) and the duration for weaving this beautiful carpets is 6 to 7 months if two weavers work regularly 8 hours per day. 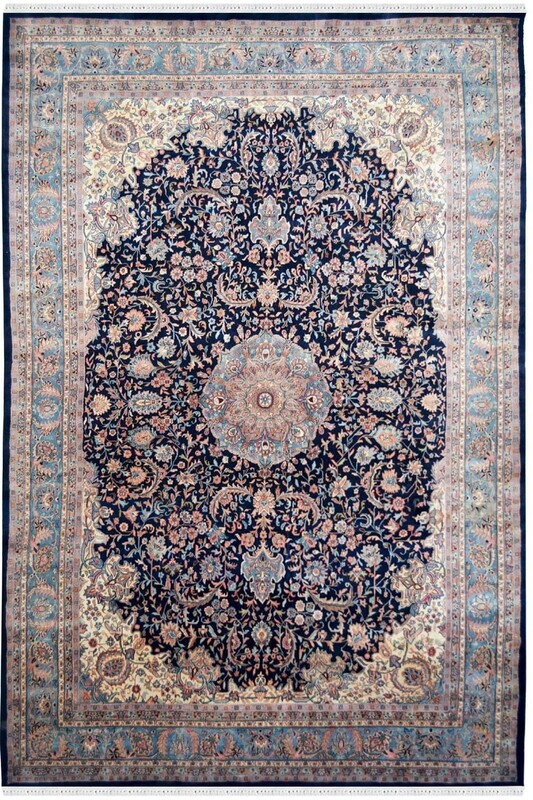 The main colors is blue in the center and the border in ivory color with bold motifs. 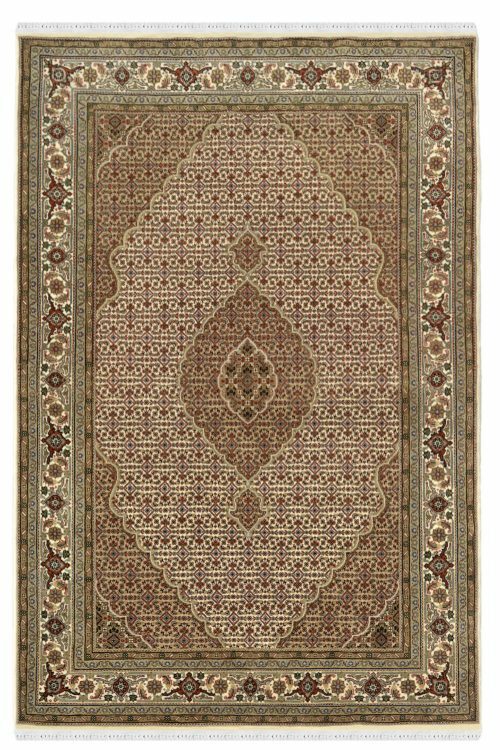 This carpet is the first choice for interior designers and rug lovers.